Hi-Chew. A big tub of Hi-Chew Strawberry popcorn.. for ten bucks. seems strange… how does it taste? 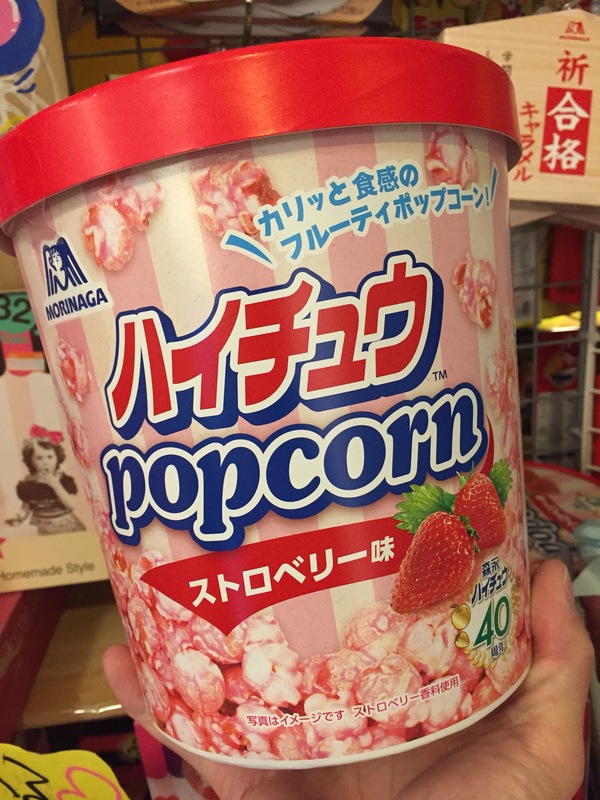 not too bad.. hard, chewy, strawberry-ish.. but soft because of the popcorn! sounds like a treat! so a softer version of hi-chew I guess? 🙂 hmm. not too bad… i guess.